Bristol Palin Dancing With The Stars: Despite landing at the bottom of the leader board four times this season, Alaska’s abstinence-loving former First Daughter (and Mark Ballas, her dance partner) has managed to waltz her way into the finale of Dancing With the Stars. Tonight, it was revealed that Bristol and Mark beat out third-place finishers Brandy and Maksim Chmerkovskiy— even though one of the singer’s dances was awarded a perfect score on Monday. Palin, by comparison, has never garnered a perfect 30. This relatively shocking development—well, for Dancing fans, at least—might be evidence that some viewers have been voting for Palin because of who her mother is, rather than because of her ballroom skills. For weeks now, conspiracy theorists have been accusing Tea Party supporters of gaming DWTS’s voting system to ensure that Palin doesn’t get eliminated. The craziest thing about this accusation? It might not be off-base. If Palin somehow comes out on top next week, when she’ll be dancing against season MVP Jennifer Grey—the recipient of numerous perfect scores—then we might know for sure that something fishy is going on. Then again, considering all that’s at stake in this competition is a tacky mirror-ball trophy, it doesn’t exactly matter who wins. Right? Right? See a clip from tonight’s results show below. TMZ reported that Tony had filed for divorce. Two clerks at the Bexar County Courthouse in Texas had told us the case was filed and sealed by a family law judge. But Eva's rep tells us Tony did not file and does not even have a divorce lawyer. Another clerk at the courthouse now tells us she's in charge of sealed cases and says no such case has crossed her desk. Running 26.2 miles is tough. Running it minus a few toenails is tougher. I will be in the pack of 43,000 runners in the New York City Marathon Sunday, and here’s what I’ve learned in five months of training: Building endurance for the distance is only one slice of the preparation needed to finish. Marathon runners battle bizarre physical problems and hurdles in training and on race day – things I’d never imagined until I started doing it myself..
Bill Emes was on hand in Newark for BoxingScene.com, and reports that everyone made weight for Saturday's HBO Boxing After Dark event. In the junior welterweight main event, Zab Judah came in at 139 pounds and Lucas Matthysse was on the division limit at 140. In the televised lightweight co-feature, both competitors were under the limit. 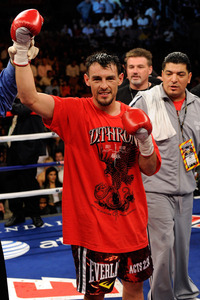 Robert Guerrero came in two pounds light at 133, with Vicente Escobedo a pound over that at 134. 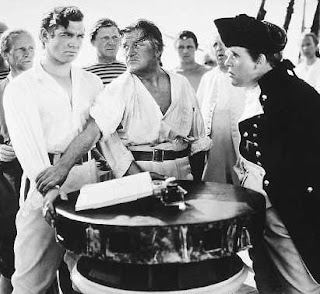 Mutiny on the Bounty is a 1935 film starring Charles Laughton and Clark Gable, and directed by Frank Lloyd based on the Charles Nordhoff and James Norman Hall novel Mutiny on the Bounty.